We get an up-close look, but a reveal is probably still many months away. 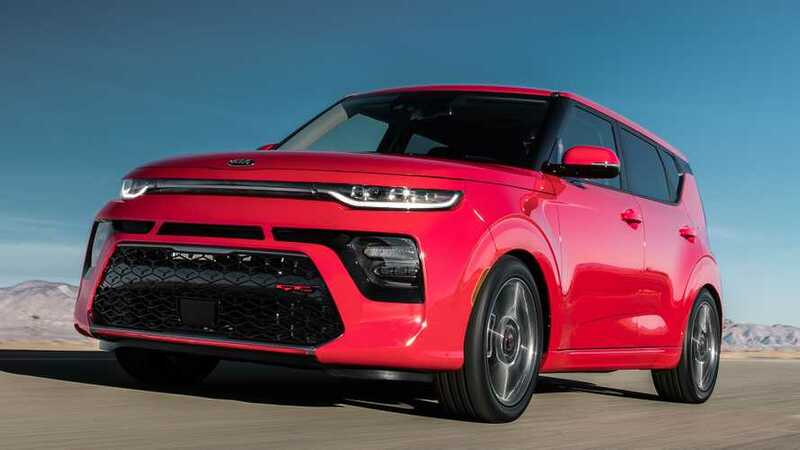 It was all the way back in February when we got our first look at the new Kia Soul. Wrapped in heavy camo and testing in the snow, that first encounter gave us quite a few photos but we haven’t seen the plucky compact crossover since then. That is, until the guys from TFLnow on YouTube came upon a prototype enjoying slightly warmer weather in Colorado. The video posted yesterday, and the lack of snow on the ground tells us this is a very recent sighting. 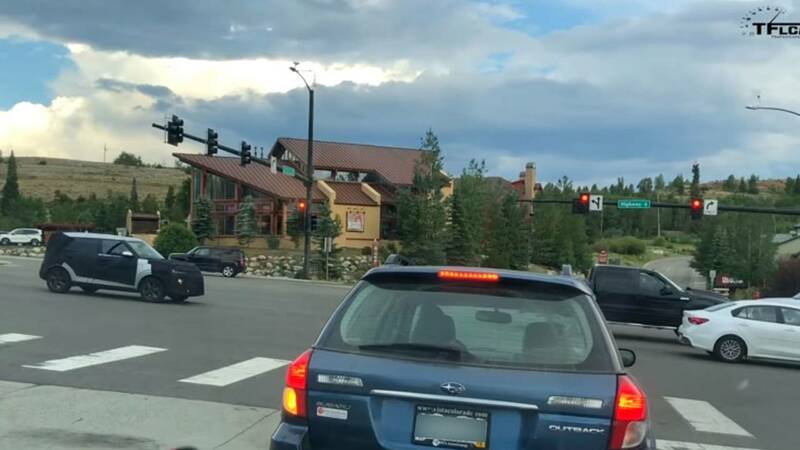 From what we can see in the video, the exact location appears to be Silverthorne, Colorado, about 70 miles west of Denver. 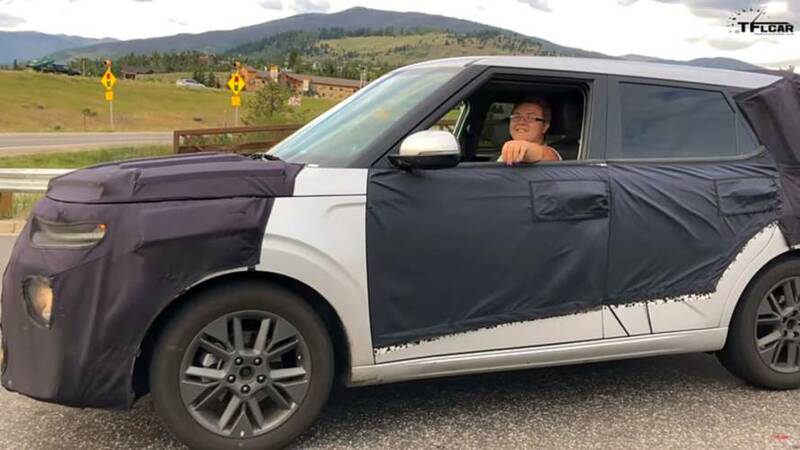 It also appears the Soul has lost a bit of its camo wrap since we last saw it, but not much. The wrap is gone from the fenders, revealing some sculptured body lines on both the fender and door, though it could just be some clever body cladding to throw us off. We do get a very good, close look at the new front clip beneath the covers, showing us a bit more of the new stacked headlight design. Similarly, we can see what appears to be LED tail lights that wrap around onto the hatch in a pretty dramatic fashion. One thing we can’t determine from this short clip is the powertrain underneath the skin. The big rumor for the new Soul is that all-wheel drive will finally be offered as an option with front-wheel drive serving as the base platform. If that’s the case we expect to see engine options similar to what’s currently offered, with naturally aspirated four-cylinder mills turning the fronts and a turbocharged option for all-wheel drive. The Soul has been a home run for Kia, and to the automaker's credit, the new model has been kept well under wraps. 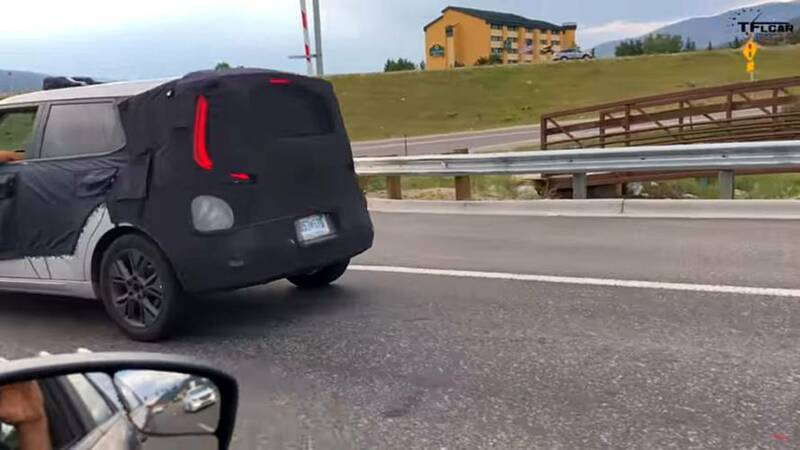 Given the amount of cover we still see on this prototype it’s likely a full reveal is some months away, possibly in November at the L.A. Auto Show or early next year in Detroit.